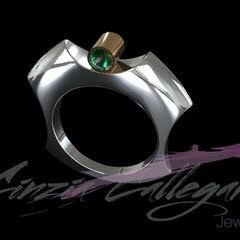 Contemporary jewellery designer Cinzia Callegari was born in Italy and lived in Paris before coming to London in 1996. She trained as a silversmith and studied jewellery making, visual arts and paper craft at London Met University, City Lit College and Central St Martins College. Nature is the main inspiration for Cinzia, from bones to flowers to twigs to sea urchins; her overriding aim is to combine imaginative design withsolid craftsmanship to produce wearable, exciting and lasting pieces of jewellery. working. 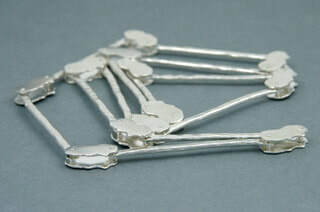 Although predominantly working using artisan handcrafting methods she has also combined the traditional with 3D computer designs with spectacular results. 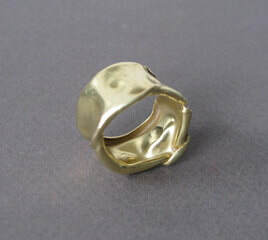 Texture is a big feature in her work and she's inspired by the visual and tactile changes that can be created on metal. 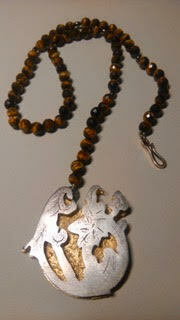 Cinzia’s collections are made up of limited and one-off pieces. She also works on commission - both creating exquisite original pieces and transforming old, unused jewellery into new wearable creations. Contemporary collection of limited and one-off pieces: Earrings, Rings and Necklaces in Silver, many with semi-precious stones. Bespoke design consultation also available, both creating exquisite original pieces and transforming old, unused jewellery into new wearable creations. Cinzia is also a Reiki and Crystal Healer and uses stones with healing properties in her work, and can recommend particular stones to individuals following a personal consultation.